The aspect of fitness is being given more and more importance these days as people in the contemporary societal structure are getting more conscious about fitness and well-being. The very aspect of internal fitness is being infused with the external beauty and body contouring as well. A well-balanced body shape can be achieved when yoga is practiced on a regular basis with proper guidance. The practice of yoga is one of the most ancient forms of exercise in this whole world. And this is being given a shape of business, practiced at an array of yoga studios. The practice of yoga is becoming dynamic as this is gaining greater mentions with the spread of yoga studios all across the globe. Common people have changed their psyche about the ultimate ways of well-being and are seen to be choosing yoga as the convenient way out. These days specially trained yoga gurus or exercise trainers are being employed to train members of a yoga studio. The first step towards the marketing of a yoga studio is to entice and convince the customers and clients for availing their services owing to well experienced and qualified trainer. The marketing should convey the robust training skills of the trainer. 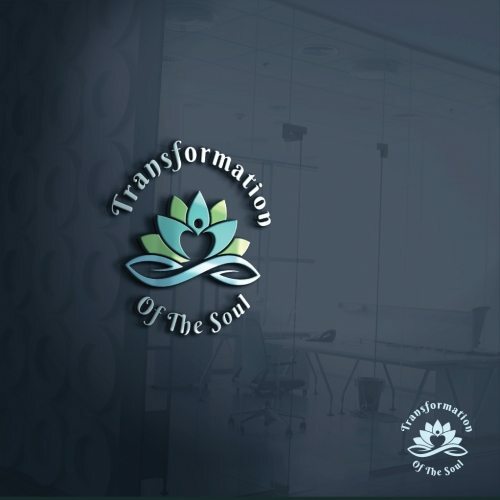 As the trainer is the central point of a yoga studio, hence, the membership criteria revolves around multiple facets of the attributes and skills of the yoga trainer appointed at the yoga studio concerned. Another greater hack is known to be providing the customers with added facilities and extra amenities so that this perk is captivating enough for them. To grab their attention, interesting, short, crisp and catchy slogans or catchy lines can be used. The aspect of advertisement is main and crucial for the prosperity of any sort of business, be it a yoga studio or any other form of business. Looking For A Yoga Studio Logo? 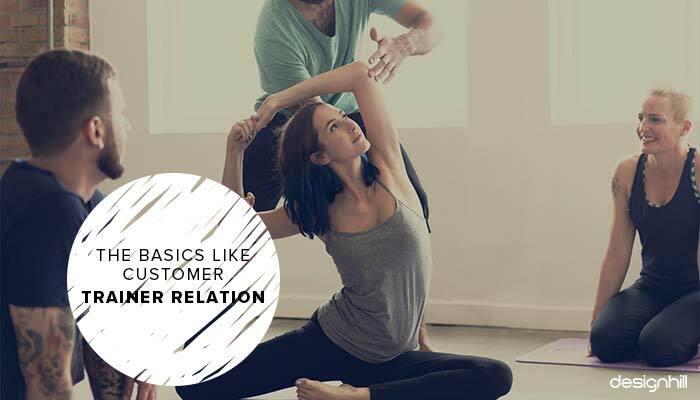 The start-up plans for marketing of a yoga studio should consist of an online website design that has a user-friendly interface for a smooth communication with the customers. Retaining a frank behavior with the members is also required so that they feel comfortable enough in that arena. Making the customers feel free and frank so that they can break away from their insecurities and hesitation is an important way for marketing of yoga studios. The authority is expected to be frank enough so that more and more customers can be drawn towards and can be transformed into a permanent member of the studio. For logos and banners of the yoga studio concerned, catchy, appealing, interesting, creative and meaningful designs can serve as an icing on the cake. 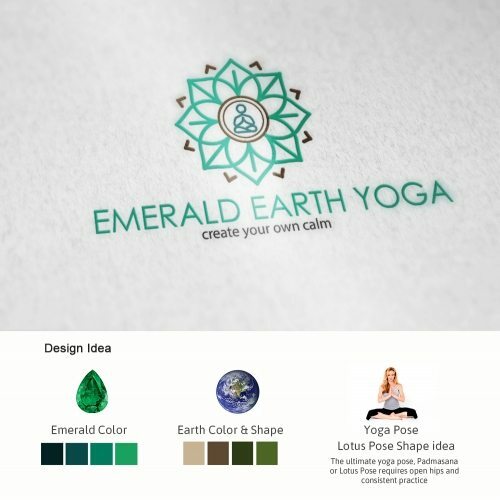 Thus, a well- designed yoga inspired logo design that conveys your brand message and connects with your target audience is essential. The aspect of advertisement is crucial enough so that the business is spread well among the masses. Social media marketing over Facebook, Twitter, Instagram is the ultimate creativity to be shown in the arena of marketing for yoga studios. 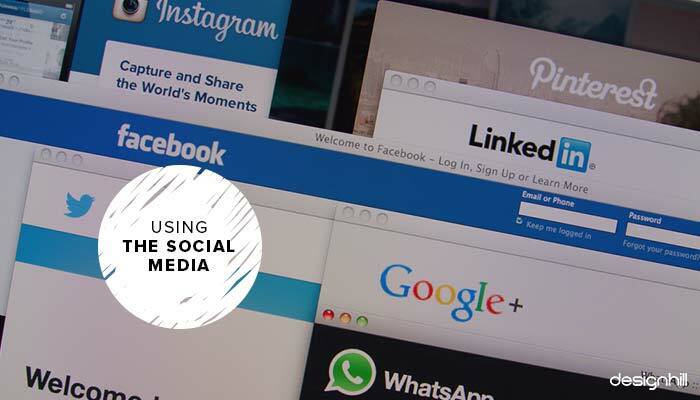 A good grip over social media marketing is necessary. Designhill is the best place to get catchy and attractive social media designs that can help you attract lot of prospects. Portraying the aspect of fitness very easily in front of the common people is the basic target here. To convince the people about the practice of yoga being the most convenient way that leads to inner peace as well as physical fitness is the main hack that can be followed for marketing of yoga studios. Yoga studios established at any specific location can also be marketed online by creating their own website with user-friendly web pages. The social networking sites such as Facebook, Twitter, Instagram, WhatsApp, etc. can be used as powerful tools for spreading the word about your business in the online world. Maintaining the connectivity, the colossal contacts and network are also important. Designhill is known to provide best business card design and logos for banners so that the basic publicity can be carried out among the masses. Another very robust hack is the use of mobile yoga studio sessions carried out at a number of places. This can enhance the marketing of the studio at many places so that it can reach out to a number of people. 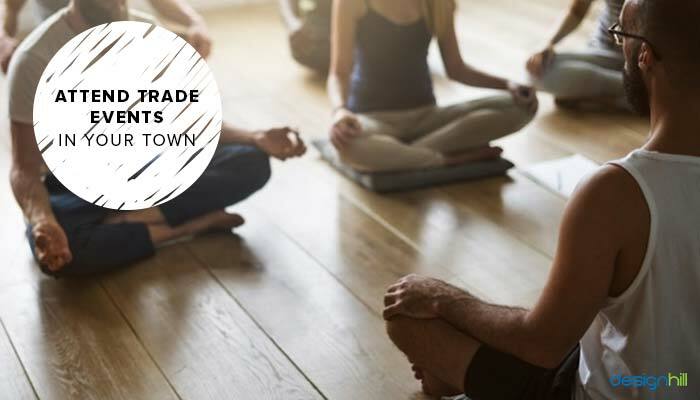 As we know, systematic sessions and plans for yoga classes are always preferred; hence, distributing class plans in accordance with the date, specified time and exercise practiced can be fruitful enough to market yoga studios. To fill up the classes of a yoga studio distribution of handouts can be helpful enough for the general purpose of publicity. Contents, articles, and blogs can be composed to facilitate the process of marketing of a yoga studio. When the layman gets convinced enough by the compositions , they tend to grab the opportunity of such yoga classes as early as possible . 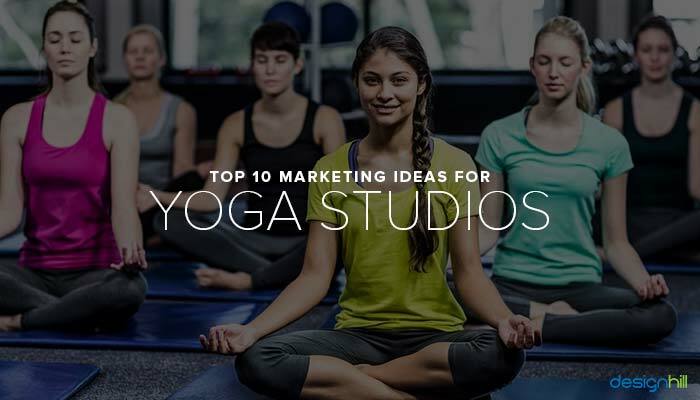 In fact, posting ads online can also help us for the marketing of yoga studios as social media is known to be the fastest medium for spreading any event or news in this contemporary world. Marketing ideas can be drawn from a number of websites online. The aspect of sharing audios and videos related to any specific yoga class session is in vogue; made over online sites. A registered website can pave the way for online marketing of the yoga studios. The creation of e-books regarding the promotional development of a specific yoga studio can be helpful enough. Getting VIP cards from a yoga studio is known to be quite enticing for the customers. 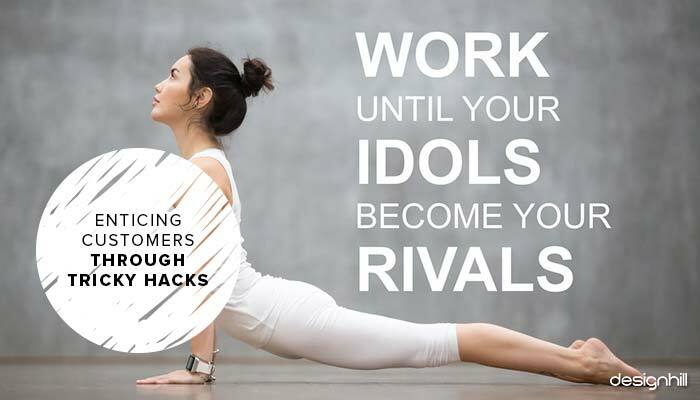 This can be used as a powerful hack to market your yoga studio. 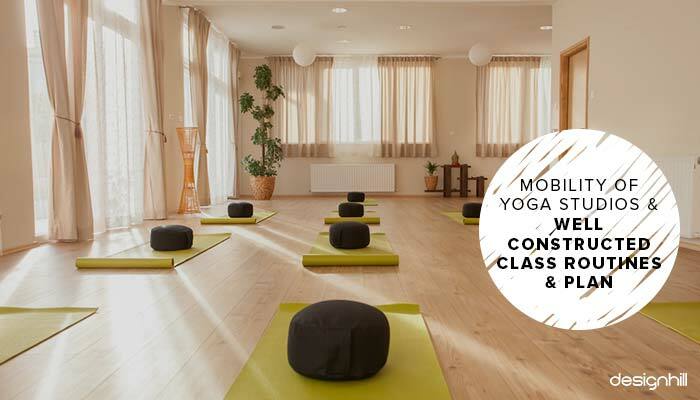 Extra facilities and amenities for the members or only for the first few members can draw a number of clients towards a yoga studio. In addition, providing gift vouchers, surprise gifts or tokens, etc. can also help you attract lot of clientele. Happy Marketing!